All Orders with "Free shipping" are shipped through FedEx Ground. 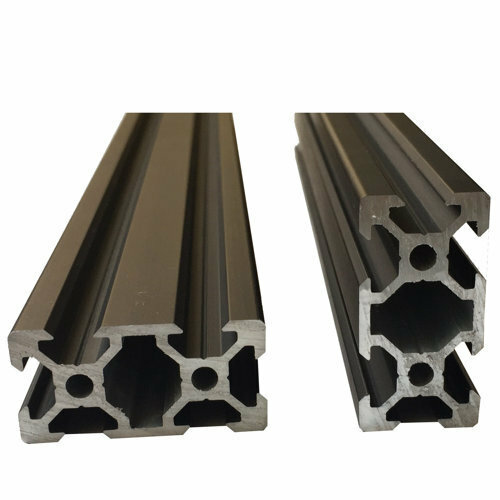 V Slot is an improved form of T Slot Aluminium Extrusion Profiles as it combines functionality of T Slot with added advantage of linear motion. V Slot and T Slot use common hardware like T Nuts, Joining Plates etc. High Quality Packing - ensures you get your rails in perfect condition. 2040 V Slot Linear rails are available up to 3mtr continuous length. Contact us for details. For bulk purchases, contact us for optimum shipping prices. We ensure precise cutting of all extrusions ordered on our website.